Headline: Live-in Kung Fu Academies can be a great way to learn Kung Fu skills by being totally immersed in the Kung Fu lifestyle. booked for one week to one year or more, and generally include 7-9 hours of training in a variety of kung fu and tai chi forms per weekday, daily breakfast, lunch, and dinner, and culture and language classes. 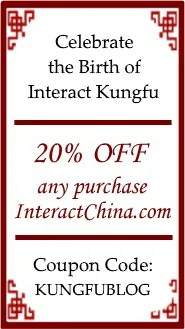 Classes are taught by kung fu masters with years of experience in both practicing and teaching martial arts. Students can immerse themselves in a traditional kung fu lifestyle- martial arts classes tend to start at 6 am and are broken up by short breaks for meditation. This schedule creates a holistic mind and body training regime that results in an improvement martial art skills and overall wellness. The live-in kung fu training academies are also usually placed in beautiful and peaceful parts of the country to maximize both relaxation and concentration. Many of the kung fu academies offer lessons for students of all levels, from early beginner to advanced, tailoring lessons to suit each student’s needs and abilities. There is a wide variety of live-in Kung Fu academies in China, and each offers a differing set of training regimes and Kung Fu styles. For example, the martial art form invented by Bruce Lee, Jeet Kune Do, is only available at one Kung Fu academy, the Middle Kingdom Traditional Kung Fu School. Students should therefore thoroughly investigate course offerings before committing to an academy. Overall, living and training in a Chinese Kung Fu academy can be a very positive experience and comes highly recommended for those looking to improve both their mental and physical strength and skill set. Here is part of my story, I practiced Okinawa style karate back in 1969, then I learned a little bit of western boxing and Olympic wrestling,use to jog around 3 miles, then I had an accident in 1994 that kept me out of any sport for a long time. Then I met Tai chi Chuan several years ago (self taught) and now I can not live without tai chi. I am 70 years old and I will continually strive for excellence in my practices.